Sat., 8 Jun. - Tue., 18 Jun. Sat., 22 Jun. - Sun., 23 Jun. Sat., 19 Oct. - Sat., 26 Oct.
Wed., 12 Jun. - Tue., 18 Jun. Mon., 27 May - Wed., 12 Jun. Tue., 4 Jun. - Tue., 18 Jun. Fri., 31 May - Thu., 6 Jun. Wed., 27 Nov. - Sun., 1 Dec. Thu., 19 Sep. - Mon., 23 Sep.
See all 50 properties in John C. Munro Hamilton Intl. Situated in Hamilton, this hotel is within a 15-minute walk of Willow Valley Golf Course, Cameron Speedway & Amusements, and Southern Pines Golf & Country Club. Canadian Warplane Heritage Museum is 1.1 mi (1.8 km) away. Located in Mount Hope, this golf bed & breakfast is within 1 mi (2 km) of Southern Pines Golf & Country Club, Canadian Warplane Heritage Museum, and Willow Valley Golf Course. Cameron Speedway & Amusements is 1.3 mi (2.1 km) away. 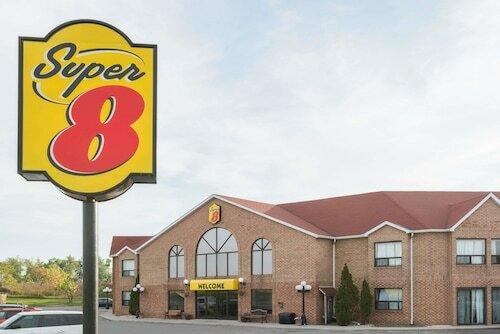 Situated near the airport, this hotel is 0.9 mi (1.4 km) from Lazermania and 2.1 mi (3.4 km) from Mohawk College. Chedoke Falls is 2.7 mi (4.3 km) away. 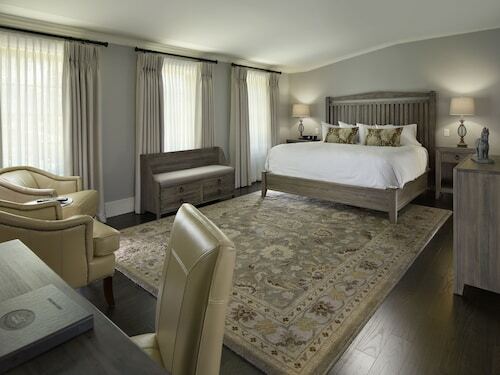 Located in the heart of Hamilton, this hotel is steps from Art Gallery of Hamilton and Hamilton Convention Centre. McMaster University and FirstOntario Centre are also within 3 mi (5 km). Hamilton GO Centre is 10 minutes by foot. Situated in Hamilton, this eco-friendly hotel is within 1 mi (2 km) of Albion Falls, Buttermilk Falls, and Eramosa Karst Conservation Area. Felker's Falls Conservation Area and King's Forest Golf Club are also within 3 mi (5 km). 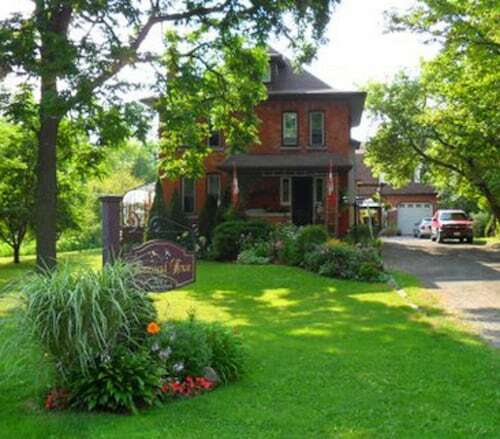 Situated in the historical district, this hotel is within 1 mi (2 km) of Fieldcote Memorial Park & Museum and Tiffany Falls. Hermitage Cascade and Griffin House National Historic Site are also within 3 mi (5 km). Located in the heart of Hamilton, this hotel is within a 15-minute walk of Carisma Pentecostal Church and Hamilton Convention Centre. FirstOntario Centre and Mohawk College are also within 3 mi (5 km). Hamilton GO Centre is 11 minutes by foot. 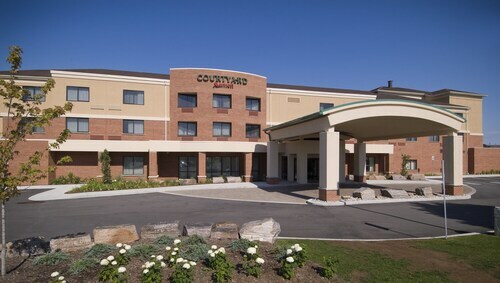 Situated in Hamilton, this hotel is steps from Hamilton City Hall and Hamilton Convention Centre. McMaster University and FirstOntario Centre are also within 3 mi (5 km). Hamilton GO Centre is 10 minutes by foot. Answer : The cheapest day to fly from Halifax to Hamilton is on Tuesday. If you are trying to save a little cash on your next business trip look for flights on Tuesday. Answer : You sure can change your departure or arrival date and you may save yourself some money by changing it. The lowest-cost day to fly in April is Tuesday. Question : Which airline has the least delays from Halifax to Hamilton? Answer : Booking with Cargojet means you will arrive to Hamilton around the time you were supposed to. In fact, this airline has a 91% on-time average. It never hurts to be prepared. If you should choose this airline, be sure to track the flight status to stay on top of the departure time. Question : How long is the flight from YHZ to YHM? Answer : This direct flight will whoosh you away to your destination in two hours and 27 minutes via WestJet. If you catch the 8:15 PM ADT departure, you'll arrive at 9:42 PM EDT. Allowing you plenty of time to freshen up before your upcoming appointment. Don't forget the one hour time change. So, synchronize your watches. Question : How much is a plane ticket to Hamilton (YHM) from Halifax (YHZ)? Answer : Cost can range from $924 to $2,028, prices for YHZ to YHM fluctuate less than most routes in Canada. However, usually the sooner you book, the better the price. Question : What is the cheapest date to fly to Hamilton? Answer : Tickets are currently $1,151, which is 19% below the average price for this route. As of Apr 15th, the cheapest day to fly from Halifax to Hamilton is May 3rd. Question : How long do most people stay in Hamilton? Answer : Of course, you are not most people, but if you were, you'd stay roughly 19 days.